1. 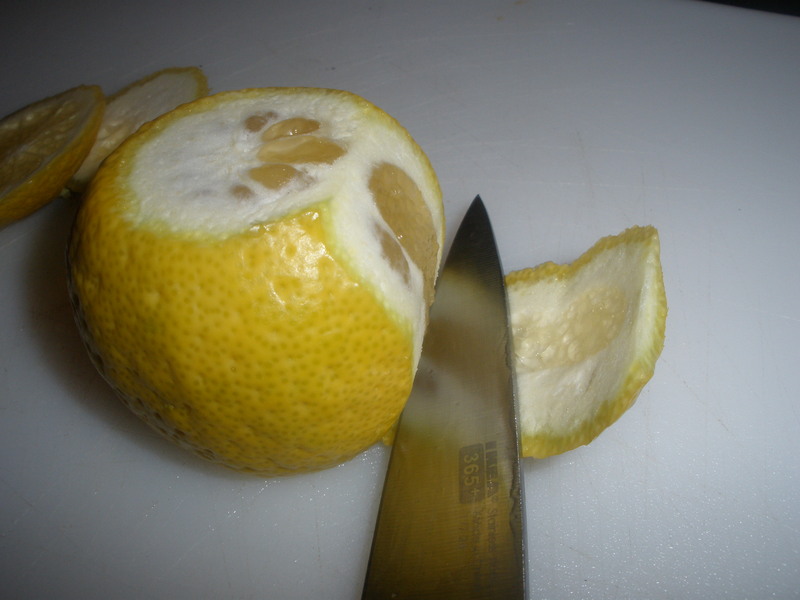 Deskin the lemon. Cut off the ends so that you have a base. Then run the knife of the outside taking the skin off. 2. 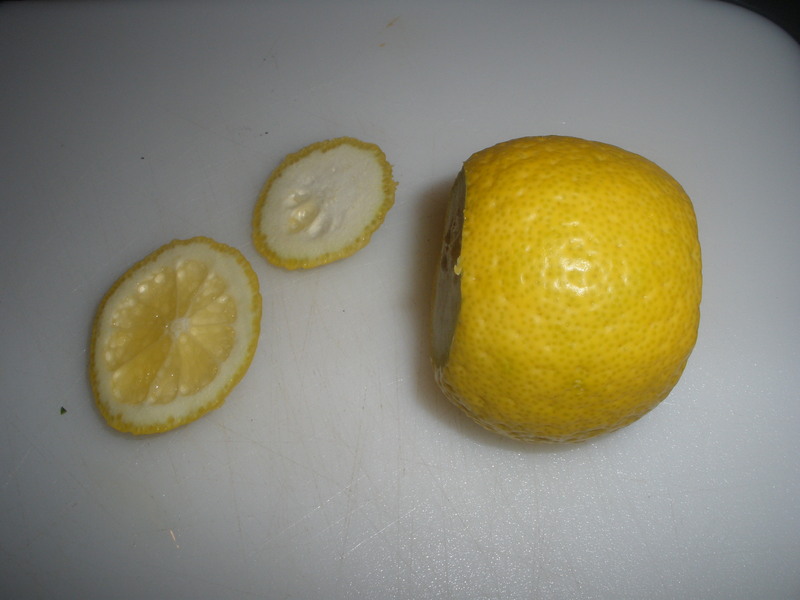 Cut the lemon in half. 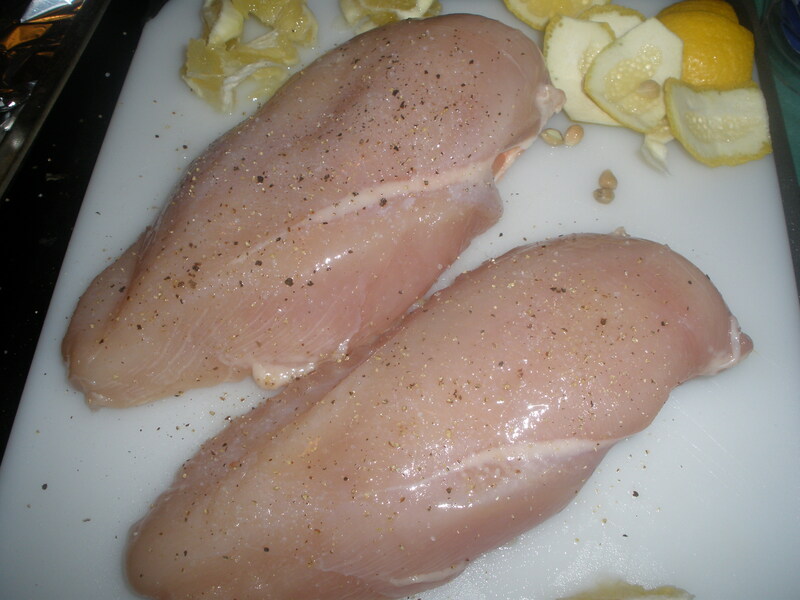 Slice 1/2 of the lemon in half again (Fourths) and the other half slice into thin slices which you will put on the chicken while it’s baking. 3. With the two small fourth sized pieces squeeze one fourth over the chicken. Salt and pepper. 4. 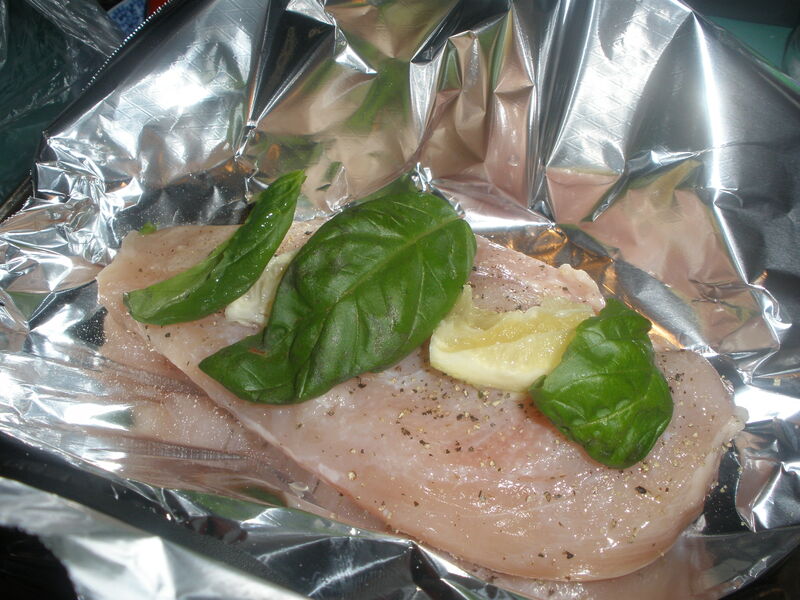 Get a piece of aluminum foil that is big enough for the chicken to be completely wrapped in. 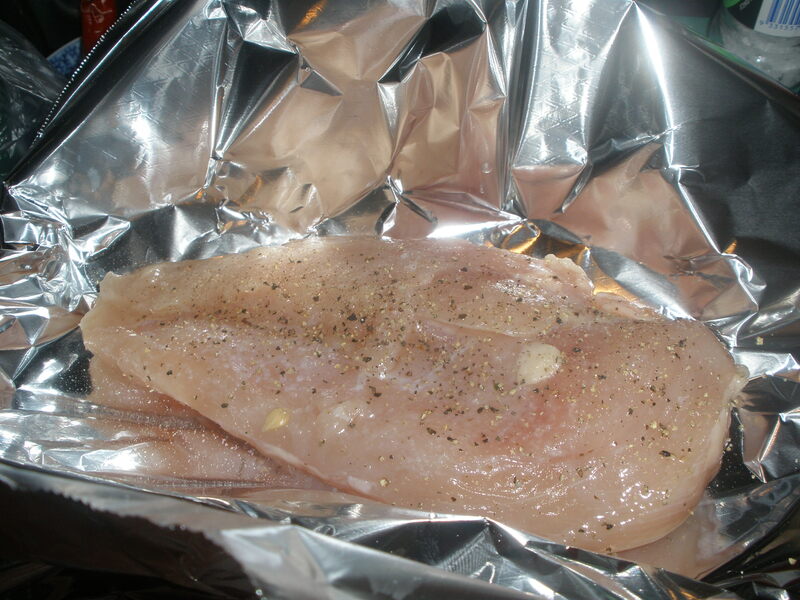 Place the chicken breast inside the aluminum foil seasoned side down. Season this ‘up’ side again like above. 5. 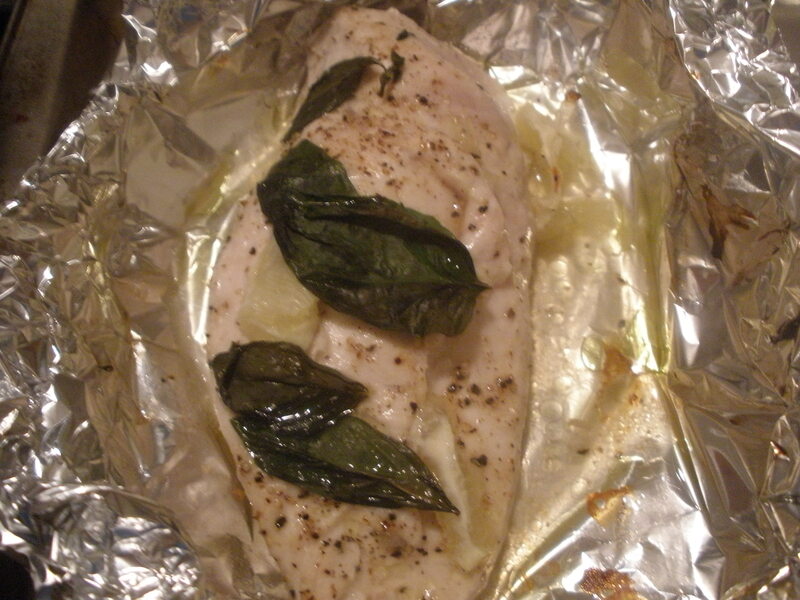 Place 3-4 leaves of basil on top along with the small slices of lemon. Top with about 1 tsp of oil oil. 6. Wrap up and place in a pre-heated oven 180/350 for about 25-30 minutes.